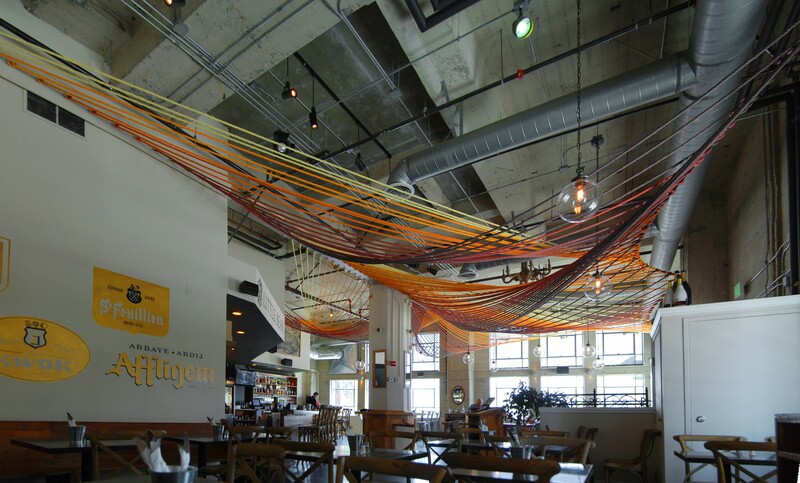 Catenary Whorl is a undulating canopy composed of 5,000 feet of soft, thick rope, which hangs from the ceiling of the restaurant Little Bear in downtown Los Angeles. 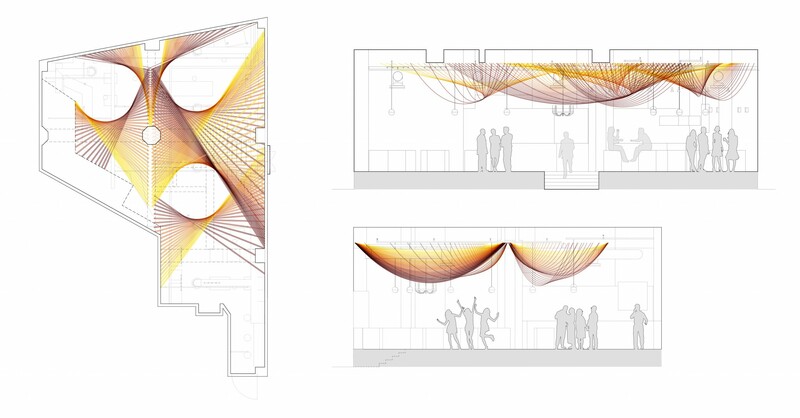 Conceived as part of David Freeland’s graduate advanced visualization seminar at Woodbury University, the canopy was intended to diffuse and absorb sound while creating a new, unique atmosphere for the restaurant. Because the rope is hung more densely in some areas than others, the undulating surface subdivides the restaurant into smaller volumes, reducing reverberation time and creating distinct spatial qualities for bar, lounge, and dining areas. 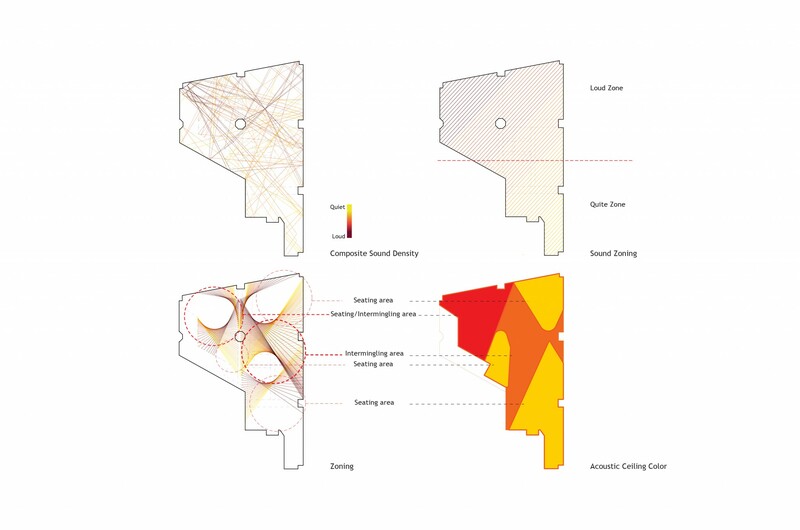 Using ray tracing the space was studied to understand the density of the ambient sound field created by myriad reflections from the concrete walls, floor, and ceiling. 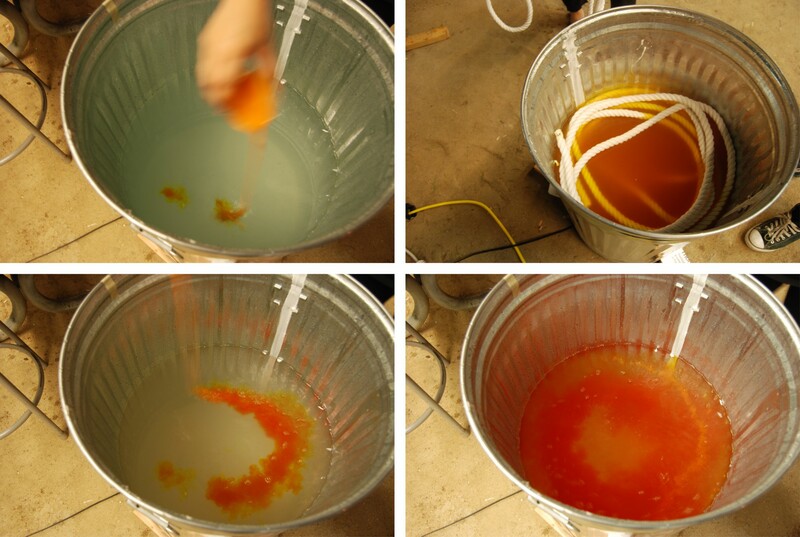 Experimenting with the acoustic performance of 3/4″ cotton fiber rope, the canopy develops areas of density for sound absorption while remaining alternately porous acoustically and visually to maintain the raw qualities of the existing space. 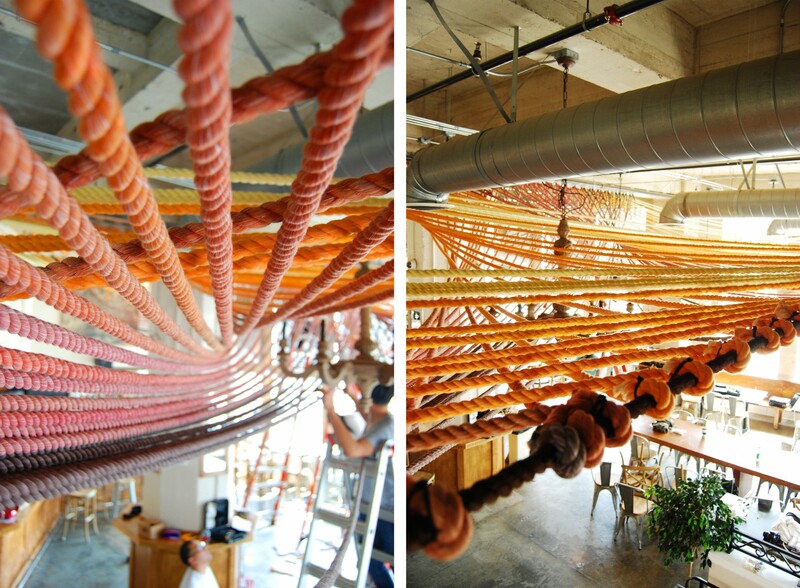 The rope is hand-dyed and the hues correspond with regions of color intensity identifying areas of acoustic absorption.